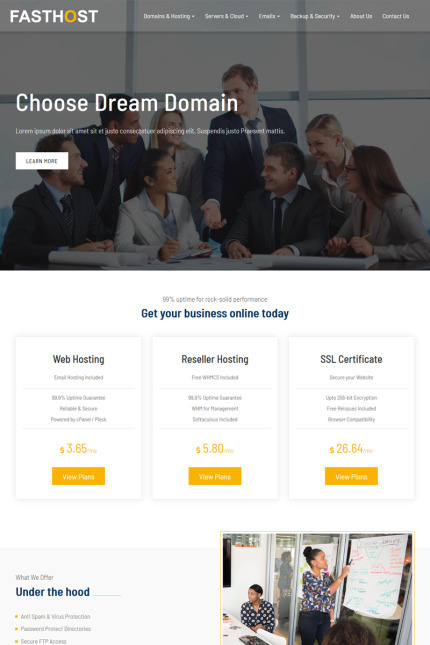 FastHost is a responsive WHMCS web hosting theme that can run seamlessly across multiple browsers with pre-built WHMCS order form templates, provides an ideal platform to web hosting sellers to showcase their products in a neat manner. The theme comprises 20 pages. It can provide a solid base for any of your web hosting projects to take off. The easy navigation menu and strategically used design elements further enhances the browsing experience. This fully customizable theme has attractive hover effects.